Falls are one of the top causes of unintentional injuries in the U.S., accounting for nearly 9 million emergency room visits annually. At Associates and Bruce L. Scheiner, Attorneys for the Injured, our experienced fall injury attorneys in Fort Myers and Cape Coral know a significant portion of these falls are caused when property owners fail to maintain the site in a condition that is reasonably safe for guests and the public. This is what’s known as premises liability, and slip-and-fall accidents are among the most frequently-filed premises liability claims in Florida. 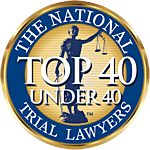 To help our clientele in Naples, Fort Myers, Sebring, Sarasota, Cape Coral and Lehigh Acres better understand what constitutes a “slip-and-fall” case, the burden of proof they bear, the compensation to which they are entitled and how we can help, we have established this page of Frequently Asked Questions. What is a “slip-and-fall” accident? The term “slip-and-fall” refers to any injury suffered on someone else’s property as a result of a defect, slippery substance or some other dangerous condition. It encapsulates a broad range of hazards that result in a person losing balance, falling to the ground and suffering injury. What are the common causes of “slip-and-fall” accidents? Slip-and-falls are most routinely associated with liquids or slippery substances that are found on a walking surface. It could be rainwater tracked in from outside, a puddle from a leaking roof, a smashed banana, a waxy floor-cleaning chemical, spilled coffee drink or soapy mop water. In addition to liquids, it’s possible that worn flooring, a sliding mat or other defect could contribute to a slip-and-fall accident. Poor lighting is also sometimes cited as a contributing factor, preventing a plaintiff from seeing a hazard that might otherwise have been obvious. What kinds of injuries do slip-and-fall victims most frequently sustain? This often depends on the type of fall, where it occurred and, to some degree, physical fitness of the plaintiff. Common among plaintiffs are broken arms, fractured wrists, knee damage, back sprains, ankle sprains, broken hip and pelvis, broken vertebrae, traumatic brain injury, neck and spinal cord damage and lacerations (sometimes resulting in severe scarring). Older adults are especially prone to serious injuries in a slip-and-fall accident. Even those who survive may become permanently disabled, and require ongoing medical care. What is the responsibility of a property owner in preventing such accidents? The answer to this question is complicated, and depends as much on what you were doing there as it does the degree of hazard. Generally, property owners have a duty to keep the property in “reasonably safe condition” for those who enter lawfully. At the same time, customers and public visitors are expected not to act with carelessness, and to protect themselves from danger that is open and obvious. Does a visitor’s purpose for being on the property matter? Yes. The degree of duty owed to a customer or guest by a property owner is going to depend on the kind of legal relationship they share. Florida generally recognizes the following classes of visitors: Public Invitees, Business Invitees, Invited Licensees, Uninvited Licensees, and Trespassers. Generally, those who are invited onto public property or as guests to do business are owed the highest degree of duty. Social guests are also highly protected. However, uninvited licensees and trespassers are generally only owed protection from intentional harm (i.e., traps). (The one exception is children in instances where the hazard was an attractive nuisance.) It’s also worth noting that an invitee can become a trespasser in a legal context if he or she crosses into an area that is clearly designated as not intended for the public. So if I slip and fall on someone else’s property and get hurt, I can sue them? That depends. Florida lawmakers made it more difficult to succeed in slip-and-fall litigation with the passage of Florida Statute 768.0755 in 2010. Previously, slip-and-fall accident victims could simply show a dangerous condition existed and the property owner failed to remedy it in a timely manner, or at least warn about it. The new law shifts the burden of proof to the injured person. Now, they must prove the defendant/property owner had actual or constructive knowledge of the danger. That means the defendant knew about it or should have known about, and failed to do anything to fix it or warn about it. How Do I Prove Constructive Knowledge? Constructive knowledge is the “should have known” element of Florida Statute 768.0755. It’s the one more frequently used in slip-and-fall cases because proof of a defendant’s actual knowledge of a certain hazard can be difficult to come by. Constructive knowledge can be established with circumstantial evidence. It holds that the dangerous condition existed for such a length of time that, in the exercise of ordinary care, the property owner should have discovered the condition. Alternatively, circumstantial evidence can be used to show the condition occurred with a degree of regularity that made the hazard foreseeable. With older people and children more likely to suffer falls, does the law make it tougher for them to recover damages? No. Florida law makes no distinction as to a person’s age or pre-existing condition with regard to their eligibility to seek damages for fall-related injuries. In many cases, compensation can be received for aggravation of existing injuries caused by the fall. What if I am at least partially responsible for what happened? This is what is referred to as “comparative negligence.” The good news is that in Florida, a plaintiff sharing a portion of the blame will not bar a claim entirely. This is true even if you bear the lion’s share of responsibility. But the fact that a plaintiff acted with some degree of carelessness does not excuse property owner negligence. If a jury or judge finds you partially liable for your own injury, your overall award will be reduced by that amount. So for example, if are awarded $200,000 in damages, but are found to share 45 percent comparative fault, you would receive no more than $110,000 in compensation. What are some common defenses in slip-and-fall lawsuits? Defendants often vigorously fight these cases. Especially with business-friendly property laws in Florida, defendant property owners are less likely to be willing to negotiate a settlement. In some cases, they are banking on summary judgment prior to trial, based on insufficient evidence by the plaintiff. But if a case does make it to trial, defendants will assert a number of theories, based on the facts. First, they might argue the condition was not defective or dangerous. Secondly, they might assert comparative negligence, due to the fact that the plaintiff was distracted, careless or possibly intoxicated. If the victim was a child or dependent adult, they may allege improper supervision. They might also assert third-party liability if some other party was responsible for the defect. Finally, they might argue the danger was “open and obvious,” meaning any reasonable person would have noticed it and taken measures to protect themselves against it by stepping to the side or slowing down or initiating some other evasive maneuver. What should I do if I’ve suffered injury after a slip-and-fall? The first order of business for you will be to receive medical attention. However, if at all possible, you’ll want to file an accident report, get the names and contact information of witnesses, note any comments made by employees or managers and obtain photographs of the area where you fell. We understand this is not always possible for every plaintiff. That’s why it’s important to contact an experienced attorney soon after the fall. This improves the chances evidence may still be preserved, and the investigation is likely to be more fruitful. The business owner’s insurance company is calling to offer a settlement. Should I take it? Not without first speaking to a well-established personal injury attorney. Insurance agents are well-trained to be very pleasant, but they do not have your best interests in mind. Almost always, they are going to either offer a low-ball settlement, or they just want to gather information to help them defeat your claim in court. Refer all questions to your attorney, or decline to answer until you have had a chance to speak to an experienced law firm.